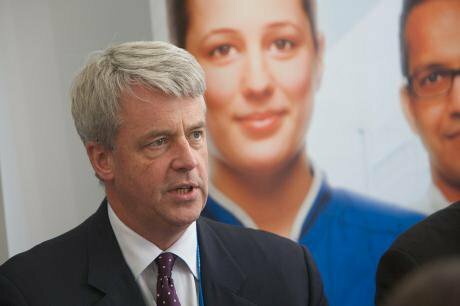 Image: The previous Conservative Health Secretary, Andrew Lansley. WikiCommons. Here’s a belated Christmas present. The Andrew Lansley diaries. The journalist, Simon Lewis – who submitted the original freedom of information request to see the Health Secretary’s diaries from the period leading up to his NHS reforms – has kindly just sent them to me. They were released following a court ruling which the government lost after spending tens of thousands of pounds over years trying to block their release. Don’t get too excited. It looks big – there are 181 pages of Lansley’s movements from May 2010 to April 2011 – but a lot of it is wrapping. And a few parts are missing. But there are some little gems inside. Having read the first third closely (the rest less so) one thing stands out immediately. Lansley was a busy man. You almost feel sorry for him. Seven am starts, 9pm finishes and a schedule that just seems exhausting. Except, you then remember what he was busy doing: causing “the biggest car crash” in the history of the NHS. What is equally striking, though, is that Lansley didn’t spend all of his first year as Health Secretary supping with the devil. He had some encounters with the private sector, but there are only traces of any dealings he had with the private health insurers; few obvious boozy lunches courtesy of the outsourcers; no mini-breaks on Branson’s island. What it is is a record of a man on a mission to get his reforms through. His days are spent with officials, advisors, ministerial colleagues and allies, on back-to-back ten-minute telephone calls and in half hour meetings. On 12 May 2010, his first day in the job, Lansley called the head of the NHS Confederation, which represents a range of organisations involved in the NHS, including private healthcare companies (ahead of his colleague at the medicines regulator, NICE). He also managed to squeeze an interview with the Daily Mail into his first 24 hours. Similarly, on ministerial photo day, Lansley put a call in to the insurance industry’s chief lobbyist at the Association of British Insurers (ahead of the Welsh Health Minister). A couple of weeks into the job, Lansley sat down with the pharma lobby group, the Association of the British Pharmaceutical Industry. He also continued his ‘policy discussion’ with the NHS Confederation. This contact is pretty unexceptional and to be expected – though its alarming that the private insurers, to whom Lansley had been talking for years, were so favoured. There are, however, two meetings that are more revealing. The first is a 90-minute internal meeting on 22 June 2010 in the boardroom of the Department’s Richmond House. The topic of discussion was ‘change management’ in the NHS. All the top brass were there: Lansley; David Nicholson, CEO of the NHS; the Department’s permanent secretary, Hugh Taylor; his soon-to-be replacement, Una O'Brien; Lansley’s private secretary, and other very senior DH officials. But joining them were Olly Benzecry, managing director of NHS contractors Accenture, and someone called Colin Price. I’m going to take a punt that this is Colin Price, then a McKinsey director whose expertise is in ‘change management’. This is the only hint in the diaries, though, at Lansley’s contact with McKinsey, which is surprising. We know from other documents I’ve received under FOI that Lansley sanctioned McKinsey’s involvement in the reforms. An email from an unnamed McKinsey employee to senior Department officials in January 2011 reads: “We now have SoS [Secretary of State, i.e. Lansley’s] approval for me to start working with you good folks again… I’d like to dive right in and start trying to help.” There’s no record of any corresponding conversation between Lansley and McKinsey in the diaries. The second of the diaries’ interesting meetings was held on 13 September 2010. Lansley gave 45 minutes to something called the Commissioning Services Industry Group. This is a significant group, dull as it sounds. Commissioning essentially means deciding who gets what health services and who provides them, the NHS or the private sector. Present at the meeting were Lansley, his special advisers, Nicholson and various officials. Among those representing the ‘industry’ was Kingsley Manning, then CEO of outsourcing firm, Tribal. Just weeks earlier, Manning had said that Lansley’s plans ‘could amount to the denationalisation of health care services in England’, which ‘could result in the biggest transfer of employment out of the public sector’ since Thatcher’s reforms. ‘The old certainties are gone,’ Manning said, ‘the NHS cannot be protected from economic reality any longer’. Also present were Vincent Sai, then heading up the UK arm of US health insurance giant, Aetna and Ramu Kannan, European MD of rival US insurer, Humana, both of which were seeking to provide NHS commissioning services. Taking up not one, but three seats in the meeting, though, were representatives of a third US health insurer, UnitedHealth. This is the largest private healthcare company in the world, with a revenue in 2016 of $184 billion. It is also the former employer of Simon Stevens, current head of the NHS. Present at the 2010 meeting were UnitedHealth’s chief lobbyist, Tony Sampson, who knew Stevens from when they worked together at the Department of Health in the early 2000s, as well as Katherine Ward, then CEO of UnitedHealth UK and its chair David Ostler. It is likely this group morphed into the Commissioning Support Industry Group. Coordinated by UnitedHealth, it now included McKinsey, PwC, KPMG, Ernst & Young and Capita, but minus Aetna and Humana. From at least 2013, this group received regular briefings from senior health officials on the NHS commissioning market. Who controls NHS commissioning is now a significant concern, with GP groups stepping back and the private sector set to take over. From the diaries, we can also see that Lansley wasn’t confined to the office. As is common in politics (and lobbying), he also spent time in Westminster’s private members’ clubs and upmarket restaurants. By contrast, his office Christmas Party was snowball dough balls at Pizza Express. Telegraph editor, Ian MacGregor, took Lansley to lunch at Quirinale in September 2010 (although it’s not logged in his hospitality register, which could, possibly, mean that Lansley picked up the tab). A week before presenting the hugely unpopular Health & Social Care Bill to Parliament, Lansley spent an hour and a half over lunch at a roundtable event hosted by the free market think tank, Reform, which had done much to champion his plans. The diary doesn’t say who else was round the table, but around that time, Reform was funded by the Association of British Insurers, General Healthcare Group, KPMG, Ernst & Young, Capita, Serco and others with a commercial interest in the reforms. Less than three months later, on the day that Lansley was forced to tell Parliament that his reforms had to be ‘paused’ because of the public outcry, he chose to lick his wounds with unnamed ‘Lords’ at the Athenaeum private members’ club on Pall Mall. Lansley also attended party political events, such as the dinner at Conservative Party conference in 2010 when he sat on the table paid for by the lobbying firm, Hanover. It’s not known which of Hanover’s clients at the time – UnitedHealth, Association of British Insurers, Circle Health, Alliance Medical, or American Pharmaceutical Group - were Hanover’s guests too. Neither do we know which Tory donors, some of whom have private healthcare interests, were present at the Conservative Party ‘Leaders Group Dinner’ Lansley attended on 2 March 2011. The diaries contain plenty of gaps and redactions where other conversations could and, no doubt, did take place. It’s unlikely this is a faithful account of his working life in its entirety. For example, we know from another FOI release that Lansley was lobbied by a housing association group, which is partnered with one of the UK’s largest firms in telecare (providers of remote healthcare), at an event in October 2010. There is no obvious sign of this in the ministerial diaries. A large number of meetings with Lansley also contain names that have been redacted (under section 40(2), which exempts ‘personal information’), such as the one on ‘reconfiguration‘ on 18 May 2010, and the discussion on the Health Bill on 26 October 2010. Other meetings will be personal, or political, in nature, which also legitimately exempts them. It is frustrating, though, to have incomplete attendee lists, and to not know who his mystery dinner guests were on 26 July 2010. We know too, from previous FOI releases received, that some major private operators that were actively courting Lansley were redirected to members of his team. Private hospital operator, General Healthcare Group, for example, was after a one-to-one with Lansley in June 2010. Its hired lobbyists, Instinctif Partners (then called College Group), and let Lansley’s office know that General Healthcare Group’s chair, Peter Gershon – at the time an adviser to David Cameron on efficiency in government – would also tag along. Health minister Earl Howe declined on Lansley’s behalf, instead inviting the firm to meet with NHS chief David Nicholson, and separately, with junior health minister, Simon Burns, who was charged with ‘discussing the contribution of the independent sector’ to the NHS reforms. In October 2010 Burns met with the NHS Partners Network, which represents private healthcare, including General Healthcare Group. Other private companies made contact with the special adviser, Bill Morgan, as is usual. Serco, after seeking a meeting with Lansley, secured a slot with Morgan instead, having run into him at the Christmas party of the free market think tank, Policy Exchange. UnitedHealth’s lobbyist was also in contact with Morgan. You can even see McKinsey attempting to wangle a meeting with Morgan for someone (who, though, is redacted). Again, we know all this from previous FOI releases. It is sometimes opaque in the diary who Lansley is talking to. An entry on 28 February 2011, for example, has him meeting ‘AM’. It is only through Nicholas Timmins account of Lansley’s reforms, Never Again?, that we know this to be Alan Milburn, former Labour health minister and fellow advocate of markets in health who Lansley had approached with a job offer. The diaries, then, provide only another piece of the jigsaw that shows how the private sector sought to influence the government over its radical reforms. Early on as health secretary, Lansley had been trusted to get on with the job. You can see from the diaries that the Coalition government’s chief policy adviser, Oliver Letwin, who was coordinating across departments, had been checking in with the health secretary. There seems, though, to have been a disconnect between what Lansley was up to and what the government was saying he was up to. The Coalition’s ‘programme for government’, published just weeks after the 2010 election, pledged to ‘stop the top-down reorganisation of the NHS’. The day before this public promise was made, Lansley and officials were busy discussing the ‘RECONFIGURATION’ of the NHS. In early 2011, as opposition to the reforms exploded, the diaries detail the growing concern inside No10. On 23 March, Lansley is down to have a ‘drink with the PM’. The following day was a one-to-one with the Chancellor, George Osborne. No10’s communications chief, Craig Oliver starts appearing in meetings. Then on 31 March, as Timmins also documents, Lansley was summoned to No10 by Cameron and Deputy PM, Nick Clegg. He was informed that his plans for the NHS were to be ‘paused’ as a means of taking the heat out of the debate. Lansley, fittingly, visited a hospice that evening. The following Monday, Lansley was jeered as he announced the pause to Parliament. He must have been a barrel of laughs that evening at a reception for the Saudi health minister and his 18-strong entourage. On the Wednesday, flanked by Cameron and Clegg, he told the media he would ‘listen, reflect and improve’ his plans. There’s nothing in the diary until the following Wednesday, but from then on it’s clear that Lansley isn’t allowed out in public without the PM, DPM, or another ministerial chaperone. All this was a long time ago. What’s interesting now, though, is where Lansley and his crew of ‘reformers’ have landed. As is the often the case, many have moved on to work for the private companies that sought to influence them and their successors. Bill Morgan, Lansley’s special adviser, for example, is now a commercial lobbyist. In late 2012, having been at Lansley’s side throughout, he returned to his former employer, lobbyists MHP, before setting up Incisive Health, an influential healthcare lobbying firm. Its clients today include NHS Partners Network, Virgin Care, the Association of the British Pharmaceutical Industry, as well as, curiously, the grassroots network, 38 Degrees. Sean Worth, No 10’s special adviser on health who was drafted in to help diffuse Lansley’s bomb, quit in summer 2012 for the lobbying industry and now runs his own firm, WPI Strategy (clients unknown). Among the senior officials that feature heavily in the diaries: Jim Easton quit his job as a director at the Department to join healthcare provider, Care UK, which is among the biggest winners from Lansley’s reforms; colleague Ian Dalton went on to become health chief at BT, another beneficiary (he has since returned to the NHS); ex-NHS CEO, David Nicholson now works for, among others, KPMG; Sebastian Habibi, former deputy director at the Department is also now full-time at KPMG; Richard Douglas, the Department’s ex-head of finance is an advisor to Bill Morgan’s lobbying firm, Incisive Health. As is Mike Richards, ex-Chief Inspector of Hospitals, who also took on an advisory role with management consultants, PwC. It employs Alan Milburn too, and former regional NHS director Mike Farrar, who features in the diaries. Neil McKay, another regional director who attended meetings with the secretary of state, is now with consultants GE Finnamore. And then, of course, there’s Lansley himself. Since being removed from his job as health secretary, he has been paid by: Blackstone, the US private equity giant, which has significant healthcare interests; US management consultants, Bain, which advised clients in 2013 that ‘what was traditionally locked up in the NHS is going to become available to the private sector’; pharmaceutical giant, Roche; and his wife’s consultancy, Low Associates, which provides ‘strategic policy’ advice to clients. All that and a seat in the House of Lords. It is no coincidence that all these people have found themselves employed by companies with an interest in healthcare policy. They are valuable in a market that trades in introductions and intelligence. They are a sign that, while Lansley’s term is over, his reforms have handed the private sector plenty of opportunities worth pursuing. The diaries don’t contain a smoking gun. This is a day-to-day account of a minister who was already persuaded. Instead, what we have is another glimpse of the real and more mundane world of lobbying: of networks, conferences, lunches, phone calls and, for some at least, a seat at the table. Lansley’s diaries can be downloaded here. Let me know if you spot anything I’ve overlooked: @CaveTamasin. This piece is co-published with Bad Influence.